Give your love a flower -or give yourself one! 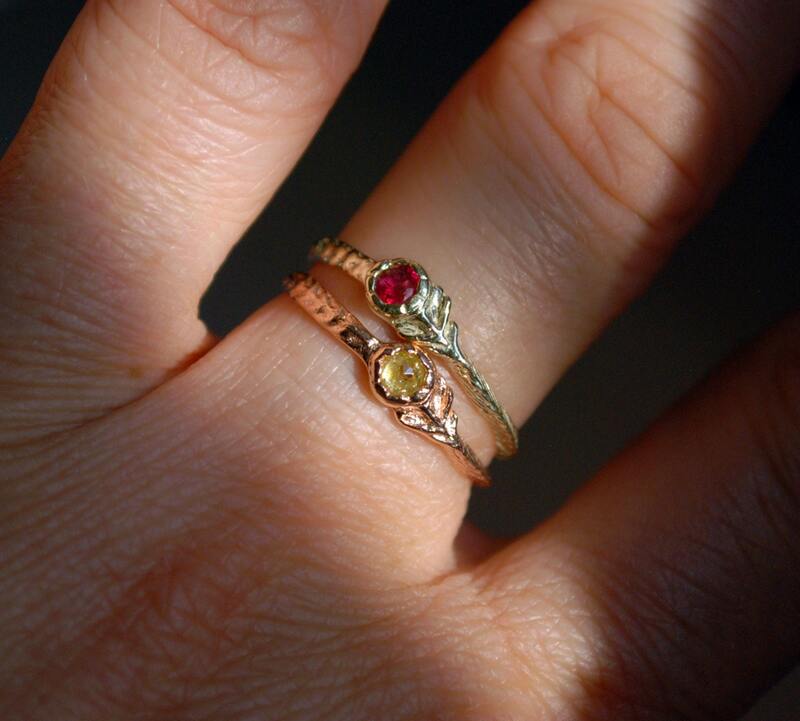 This jeweled flower ring is cast solid in 10k rose gold and set with a 3mm natural yellow rose cut diamond. 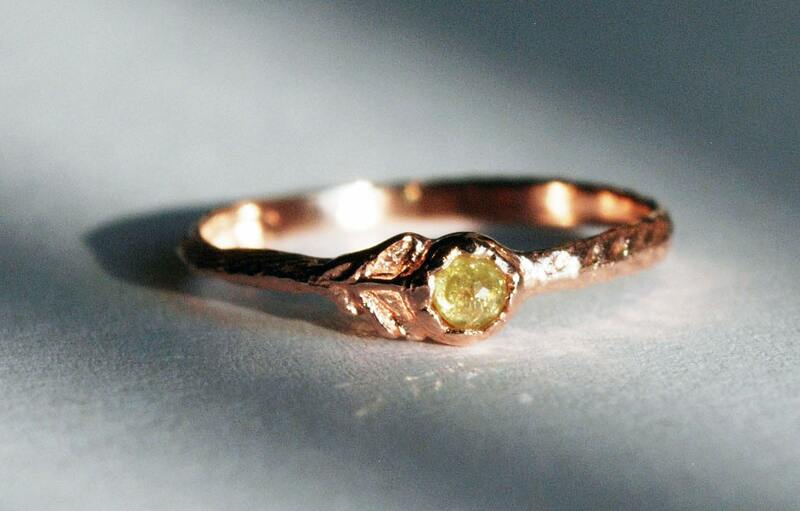 Looks great as part of a stack and stunning worn on its own. 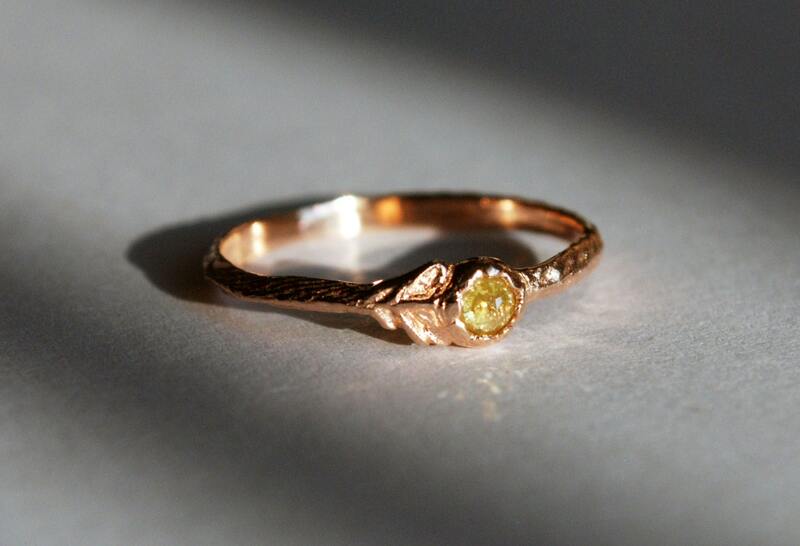 PLEASE NOTE: These rings are made to order to size and each yellow diamond is very slightly different. 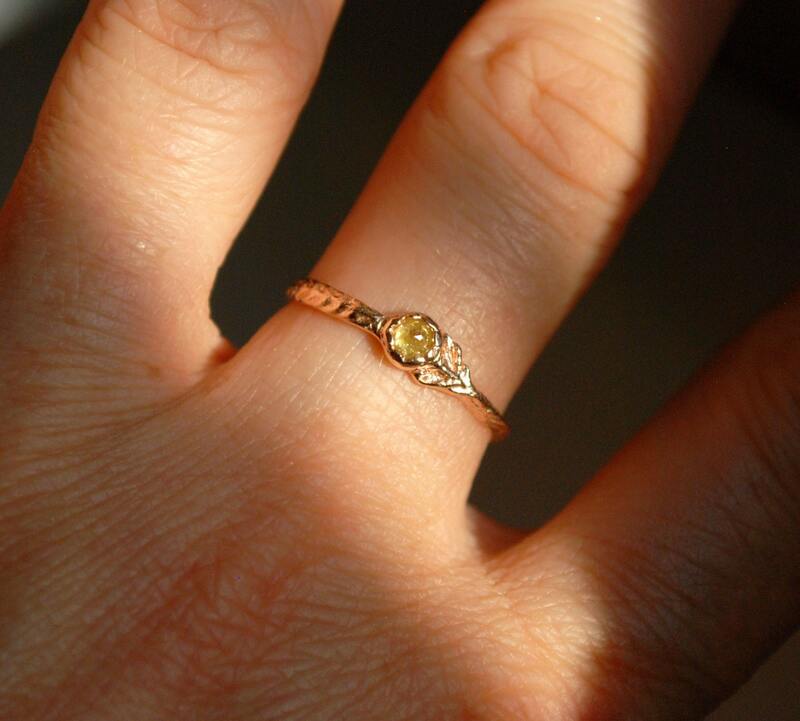 This listing is for 1 rose gold & yellow diamond tiny jeweled flower ring only.